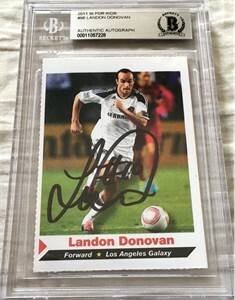 2011 Sports Illustrated for Kids MLS Los Angeles Galaxy soccer card autographed in black Sharpie by legendary Hall of Famer Landon Donovan. 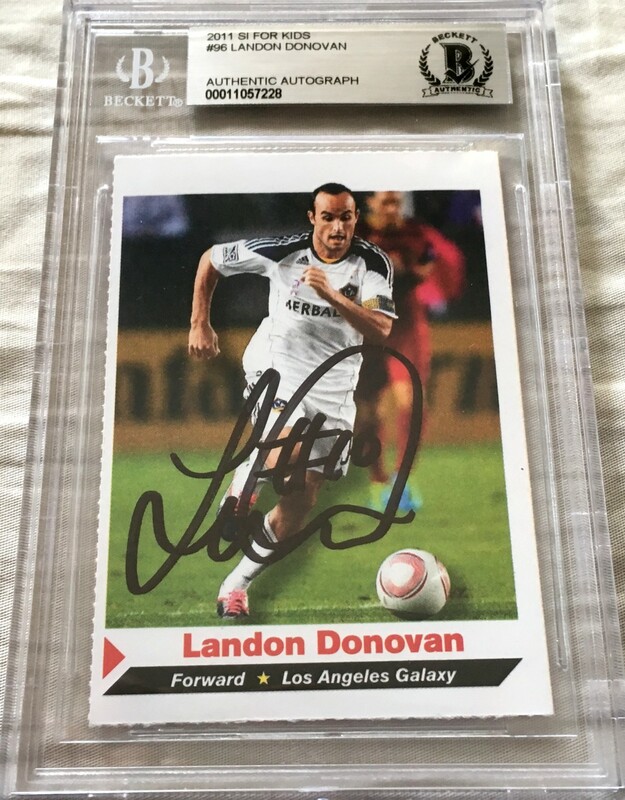 Obtained in person, authenticated by Beckett Authentication Services (BAS) and slabbed. ONLY ONE AVAILABLE FOR SALE.